This week's main release seems to be Hyperdimension Neptunia U, with it being a new release and having a bunch of DLC. It's successfully the main JRPG for the week on the PSN, even if it's an action spin off of the original Neptunia series. I don't know a bunch about this game other than it's use of Japanese game media magazines as characters such as Famitsu and Dengekiko, but Neptunia always has good humour and fanservice, so I'm curious to check it out (and play the first one, sitting in my backlog). The Vita on the Move sale also continues, with plenty of Persona games and Gravity Rush for those who want to save a few bucks! Have good week and happy gaming everyone! 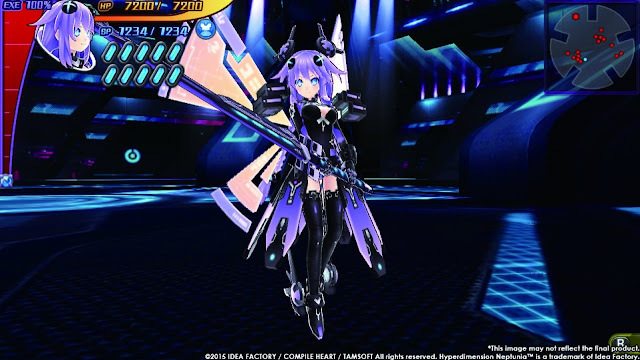 Pick of the week: Hyperdimension Neptunia: U and the Persona bundle. I love hearing your thoughts, so please comment below or send a tweet to @JRPGJungle and follow if you want to keep up the content we post. Thanks for stopping by!